Selina R Gonzalez – Reader. Writer. Geek. Today I’m going to do something a bit different. This post might not be for everyone, and it’s on the longer side. Because today, I’m sharing what in Christian circles is referred to as a testimony. Basically, the story of my walk with Christ. Things are going to get…vulnerable. Now, typically, this blog is for writing-related things. But it’s also about me, and being a Christian is part of me. I’ll be honest. I used to hate testimonies. A few weeks ago, I completed the membership class for my church, and one of the last things was writing down your testimony. I feel like most testimonies are like allergy medication commercials. “Everything was blurry and foggy and I was wandering through life, but now I’m dancing in a field of flowers.” And that’s…not my experience with being a Christian. My experience is struggling with depression. My experience is knowing I should read my Bible and not wanting to. My experience is times of spiritual growth and highs, and times of failure and having to remind myself, “For I am sure that neither death nor life, nor angels nor rulers, nor things present nor things to come, nor powers, nor height nor depth, nor anything else in all creation, will be able to separate us from the love of God in Christ Jesus our Lord.” (Romans 8:38-39) If my testimony wasn’t a miraculous change, did I even have a testimony? But as I was talking with one of the pastors after the class, I realized I do. It’s just more long-term. It’s about divine intervention. It’s about providence. So let me tell you my story. My parents weren’t Christians when I was born. When I was two, they went to a parenting class in a public building, not knowing it was hosted by a church that met in that building. They met some great people who invited them to church, and they went. My parents got saved. That church moved to another building as it grew. I accepted Christ. The church purchased its own building. I became a teenager. High school is rough. You learn a lot about what the world is really like. You see hypocrisy you hadn’t noticed before. I saw people I thought were good Christians acting like…donkeys. I saw people suffering. I saw my family going through a hard time and struggling to stay together. I also found that rules were annoying, as high schoolers tend to do. I was home schooled. Why is this relevant? Because my mom bought me science curricula that included apologetics and bought me apologetics books. Apologetics, if you don’t know, is showing reasons for why Christianity is true–arguments for God’s existence, the historicity of Christ and the Bible, evidence of a Creator, things like that. And I became convinced Christianity had to be true, even though I didn’t like my church anymore. Even though I was hurt by Christian friends. To be honest, I was kind of a bitter believer. My attitude was–and sometimes still is–I believe, but I’m not happy about it. It’d be easier if this wasn’t true. I firmly believe often people don’t become Christians less because they honestly think it’s false, and more because they emotionally can’t let go of their own control of their lives. But, anyway. My family moved churches. I didn’t care for that church. Since then, in the midst of other life things, I’ve tried a few churches before settling where I am now. But here’s the thing. The church I’m going to now? When it first started, before I heard about it, it met in the building owned by the church I grew up in. The building my church just bought and moved in to? It’s literally RIGHT NEXT TO the public building where my parents started going to church when I was two. I could ignore one coincidence. But there are others. In 2012, after four years of saving and a couple opportunities that didn’t work out, I finally went on a tour of England and Scotland. I wanted just to see Scotland, but figured England would be fun, too. We stopped at Oxford on that trip. It was a funny group. All retired people and nineteen-year-old me. This older man and his wife told me as we were walking through Christ Church College (after knowing me a whole three days), “You’re smart. You could go to Oxford.” I literally laughed. In 2013, I went to a two-week student worldview and apologetics conference. They had an info meeting during a break about a study abroad program in Oxford. On a whim, I went. The program sounded awesome, but it was intense, expensive, and aimed at people in four-year colleges. I was at a two-year community college. I talked to a lot of people and prayed. I decided I’d apply. If God wanted me there, I’d be accepted. I spent a year saving and fund-raising. Every March, I get a memory on Facebook. A desperate, heartbroken post talking about how I didn’t think I was going to be able to afford Oxford and would have to drop out. Every time I read it, I remember the tears that accompanied writing it. But every September 1, I get the Facebook memories of flying from Denver to Heathrow. Because somehow I still don’t fully understand, God provided. I had enough money for the tuition, housing, and food. A friend used their frequent flier miles to buy my plane ticket. I even ended up with enough money to visit Wales and Ireland with my sister at the end of the semester. I met some of my best friends on that trip. I learned what real community feels like. Because of those friends, I’ve driven coast-to-coast. And that’s not even going into all the things–academically and spiritually–I learned while at that conference or in Oxford. There are other, smaller things. Things that at the time, looked impossible but God somehow made work. Things that I hated, but something good still came out of them. Things that I might still have hurts over, but can see how it grew me. My testimony isn’t short and pithy like it’s supposed to be. But I do have one. And if you feel like me, you probably do, too. If you ever want to talk, I’m here. DM me on Facebook or Instagram. Use my Contact Me page on this website. I decided to do one blog post for this week’s #WIPJoy prompts! Let’s dive right in. Me with my claymore, aka one of my favorite swords. Swords. Lots and lots of swords and daggers and knives… I have an addiction, no lie. Also dresses—I try to keep the descriptions few and not too detailed, but enough to satisfy the people like me who like to know what pretty dresses the female protag is lucky enough to wear. And the guys get a couple chances to shine as well. Trees…so many trees. Fact: Monparth’s aesthetics are loosely inspired by Maine thanks to the four and a half months I lived there last year. When I try to think of what sorts of plants or trees might be in a scene, I think about what trees I saw in Maine. When there’s a few scenes near the coast of a sea, I picture roughly Maine’s coast. Now…have some character aesthetic/mood boards! 6. What would your MC’s loved ones say they smell like? Regulus…let’s be honest, he tends to smell like a guy and probably like his horse. But on his better days, he probably smells of leather and linen and pine. Adelaide likes lavender, so Regulus tends to associate her with lavender. 7. Foods your characters eat. This is a medieval world, so they eat a lot of roasted, boiled, and salted food. Monparth has a coast, and the characters are wealthy, so they eat a variety of meat and fish. For their traveling, I decided to have them mostly eat dried venison jerky because it was the easiest way to get them food. But they also eat fruits, rabbit, and fish while traveling. Adelaide’s favorite food is nalotavi, a flaky chocolate pastry from Khastalland that is inspired by babka and baklava. 8. If your WIP was a hug, what would that hug feel like? Hmmmm. I think one of those really tight long hugs where you’re trying to hold each other together and communicate all the comfort and understanding you can’t put into words. The kind where you won’t let go because you can feel the other person trying to keep it together and you want to give them time to decide if they’re ready to fall apart or to square their shoulders and move on, and you’re waiting to see if you’re going to need to sit with them while they cry or stand next to them while they face the world head on. 9/10. A line with deep emotion. Hmmm. I’m going to pick a couple, since “deep emotion” is vague. Good emotion? Negative emotion? How about one of each? She howled her pain out of her and into the air until her throat was so raw she couldn’t make a sound, and then she pounded her fists against the floor. That’s all for this week’s installment of #WIPJoy! Over on my Instagram, I’m participating in the #WIPJoy challenge, hosted by Bethany Jennings and SD Grimm. But I wanted to talk a bit more about today’s prompt, things I love about my work-in-progress, than really works on that platform. I also decided to combine it with tomorrow’s prompt on introducing my MCs. So I decided to write a blog post! First, some information on my WIP. 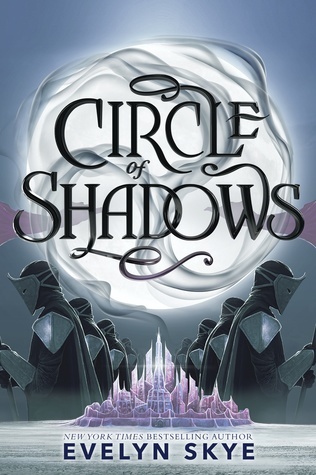 A former mercenary and the illegitimate son of a lord, Regulus Hargreaves is bound by magic to serve an evil sorcerer until he pays off the debt he owes. The daughter of a Monparthian nobleman and a Khastallander common woman, Adelaide Belanger couldn’t hide her mixed ethnic heritage if she wanted to. 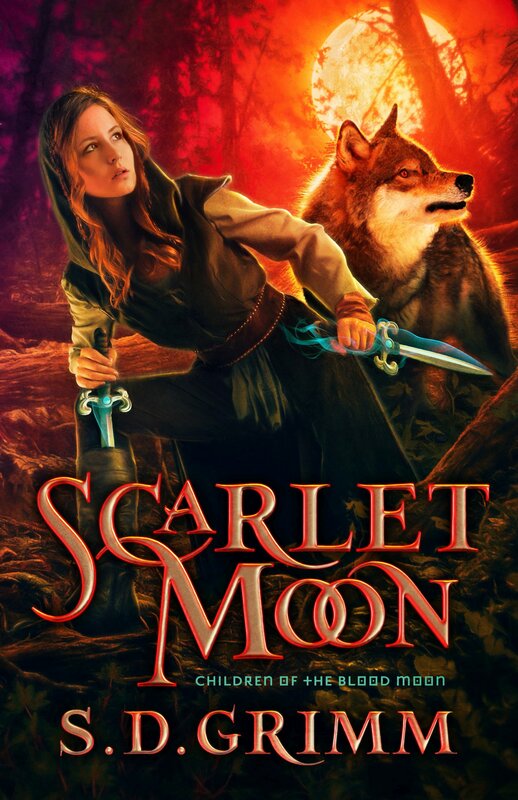 But she has a more dangerous secret: she’s a mage, possibly the one only left in Monparth after a mysterious threat killed every mage in the kingdom before she was born. When Adelaide meets Regulus, she is fascinated by this man that her fellow nobles treat with disdain. But loving him would mean trusting him with her secret, a secret her parents insist could get her killed. Regulus can hardly believe that someone like Adelaide could see beyond his scarred face and mercenary past. But would she still love him if she knew the truth? 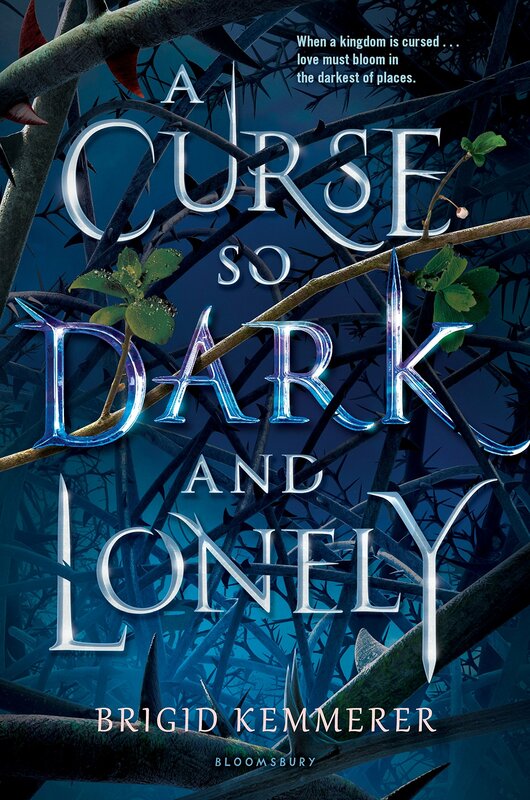 When secrets surface and the sorcerer asks the impossible of Regulus, their choices could affect not only each other, but the future of all of Monparth. So what do I love about this story? The hero Regulus might be my favorite part of this story. He’s tough, strong (physically and emotionally resilient), and incredibly selfless. He would do anything to protect the people he cares about. He had a hard childhood with lots of rejection, so his heart is fairly guarded, but once he’s opened his heart, it’s open. I also love his best friend, Dresden. He’s a bit cocky, but he’s passionate, loyal, pragmatic, and hates injustice. He always has Regulus’ back, and even though Regulus is his lord, he isn’t afraid to tell Regulus when he’s being an idiot. I particularly love him because he doesn’t turn his back on Regulus when Regulus has given up on himself, and he doesn’t let Regulus wallow in self-pity or think that he doesn’t deserve the best. I honestly struggle with writing female characters. (I know, I know. I’m female. But, it’s the truth.) But I do love Adelaide. She’s complex and sometimes at odds with herself in a way I totally understand. She loves her family deeply and has a close relationship with her mother. She’s the kind of female I want to read about—strong but still feminine. 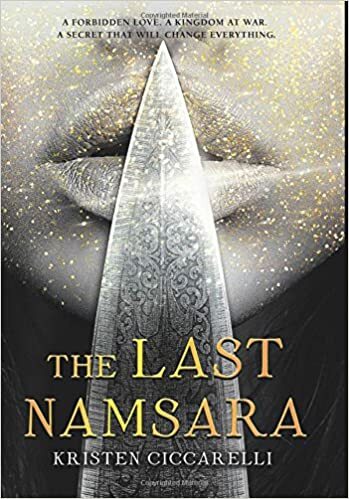 One of the things I love in this story is that Khastallander women have a heritage of teaching their daughters to use throwing knives and daggers to protect themselves. So Adelaide always has at least one blade hidden on her person, and is often seen playing with a knife or dagger. And if someone were to ask her “how do you know how to do that? !” The answer isn’t “my dad wanted sons” or “I have brothers.” But she also does calligraphy and her favorite hobby is sewing her own dresses—something else she learned from her mother. She’s learning to become her own person, and trying to decide if she’s going to continue keep her magic secret like her parents want, or use her gifts. On that note, I LOVE ADELAIDE’S PARENTS. They. Are. Adorable. I love a married couple that are still flirtatiously in love. They’re imperfect and both can be stubborn—not to mention overly protective of their youngest, Adelaide. Nolan. Oh, Nolan. Nolan Carrick started as just a foil for Regulus, but he grew into my favorite antagonist I’ve ever written. He is horrible. I honestly hate him more than the sorcerer (the titular Prince of Shadow and Ash). I hadn’t set out to use Regulus and Nolan to highlight differences in confidence and pride, secure masculinity and toxic masculinity, and love and obsession, but that’s what’s happened and I hope I do it well. While the sorcerer is a big-picture, ambiguous threat, Nolan is the more run-of-the-mill evil. And both the sorcerer and Nolan show how power in the hands of those with selfish ambitions hurts those around them, while Regulus and Adelaide demonstrate how the selfless use of power can be used to help. I also love that there’s a lot about Adelaide and Regulus learning to accept themselves, including their scars (external and internal). They realize that they’re stronger when they don’t rely on only themselves. There’s love and understanding and trying to figure out how to best support each other. They help each other face their demons, whether they are doubts and fears or the story’s villains. And not just Adelaide and Regulus, but Adelaide and her parents and sister, Regulus and his knights—they make each other stronger and help each other survive. Finally, the magic. This is the first book(s) I’ve written with magic in it, and it is a blast. I’m still working on solidifying my magic system and rules, but I didn’t want something too narrow because it loses it’s fun. The magic is very loosely inspired by the aesthetics of the magic in Skyrim. Magic in this WIP is of two basic types: pure magic, which manifests primarily as blue light, and sorcery or corrupted magic which manifests primarily as green light. Mages are closer to paladins, who use their magic primarily to help, heal and defend. Sorcerers aim to acquire as much power as possible through any means necessary and don’t hesitate to use their magic to hurt innocents. Their greed and cruelty twists their magic into something it was never meant to be, giving them more power but at greater cost. 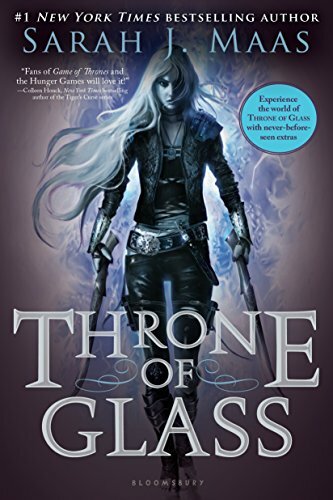 I could say more about what I love about this story—the armor, the dresses, the dragon-slaying, the fairies in book two, the sword fights and magic battles, the way the characters grow. The way they sometimes break my heart. But this post is more than long enough, haha. Yesterday I got back from a fun but exhausting week with one of my best friends, helping her prepare for and being in her wedding. I’m jet-lagged, tired, and have a bit of a cold, so I decided to do something easy for this week’s blog post–take a look at what films I’m looking forward to this year. If Beale Street Could Talk (R) — This is only sorta a January release. It was shown last summer/fall at film festivals and started being released to theaters on Christmas, but I’m pretty sure it just got to my area this month. The critic and audience reviews on this look great, it looks emotional, and the plot looks interesting. I might wait until DVD since it’s rated R (which I don’t often watch), but we’ll see. For some reason this is listed on IMDB as having released in 2017, so that’s confusing. But anyway, this looks funny. I’m not a big Kevin Hart fan, and what I’ve seen is hit-or-miss. But I’m hoping this is good. It looks like if Me Before You (which I HATED because of the ending) was a buddy dramedy, and I’m here for it. So often nothing comes out in February I want to see. Which is a tragedy, because my birthday is in February. But not this year! This year, February is looking pretty good at the theater. The Lego Movie 2: The Second Part (PG) – Feb 8 — I LOVED the first Lego Movie and The Lego Batman Movie. And the trailers for this are hilarious, with all the ridiculous meta- and fourth-wall-breaking-humor I loved in the others. 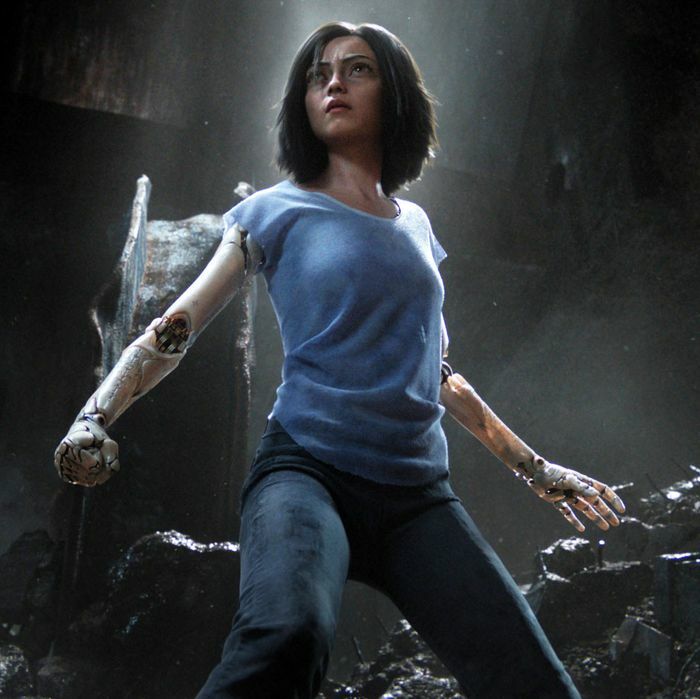 Alita: Battle Angel (PG-13) – Feb 14 — I’m SO seeing this for my birthday (which is a couple days before this comes out). Cyborgs and androids and action and fight scenes…oh yes. How to Train Your Dragon: The Hidden World (PG) – Feb 22 — The first HTTYD is one of my favorite movies. I really like the second one, too. But I have to be honest, I’m a little nervous about this one. Chaos Walking (??) – Mar 1 — I honestly don’t know much about this movie. But I love Tom Holland and really like Daisy Ridley. So it’s on my radar. Plus, the plot seems interesting, if confusing. “Set in a dystopian world where all living creatures can hear each other’s thoughts. “Follows Carol Danvers, an Air Force pilot whose DNA is fused with that of an alien during an accident. The resulting alteration gives her with the superpowers of strength, energy projection, and flight.” Also, Skrulls. And young Sam LJ. And Coulson. Shazam! (PG-13) – Apr 5 — I have very mixed feelings about this, and I’m not sure if I’ll really like it. But I love Zachary Levi, so I’ll try it. The Sun is Also a Star (PG-13) May 17 — I’ve heard that this book is pretty good. I need to read it, and then, if I like it, watch the movie. Aladdin (PG) May 24 — Aladdin is tied with Beauty and the Beast for my favorite childhood Disney movie. I’ve wanted a live action version since forever. And the photos and trailer for this have me all kinds of excited! I WANT IT NOW. Do you really need the synopsis for this? Really? I didn’t think so. Men in Black: International (PG-13) – June 14 — So, I haven’t actually seen any of the others (although I plan on fixing that soon), but I was all for this when I saw “Chris Hemsworth and Tessa Thompson.” And the trailer is pretty good. Then, there are some dark months where nothing currently is striking my fancy. Maybe once some more trailers are out. Frozen 2 (expected PG) – Nov 22 — Obviously. I just hope it’s comparable with the first one–which, while probably over-rated, is good. Star Wars: Episode IX (expected PG-13) – Dec 20 — Because even if Last Jedi was a let-down, I enjoyed it fairly well in the moment, and I’ll always turn out for Star Wars. See any movie you’re hyped for? Did I miss any you’re excited to see? Tell me about them! Happy New Year’s Eve! 2018 is ending, and a new year with new adventures is nearly upon us. It’s a time of reflection, and a time of looking forward. I haven’t done resolutions in a few years, but I felt like it’d be a good way to prepare myself for a new year that’s pretty different from the last several—mostly because I’m not longer in university. So, I thought for the sake of getting it written down and for accountability purposes, I’d make a blog post with my resolutions/goals/plan for 2019. Don’t worry—it’s considerably shorter than my last post! Do you do New Year’s resolutions? What are you resolved to do in 2019?